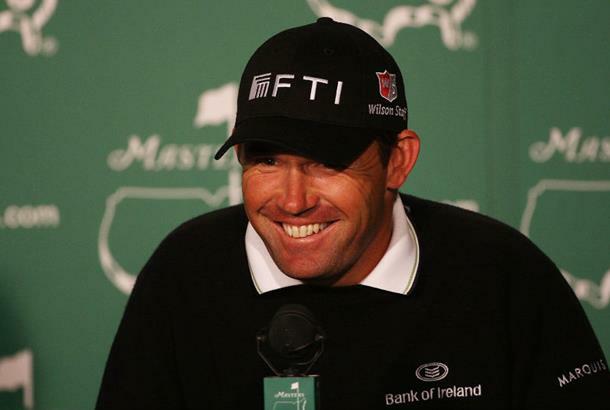 Padraig Harrington denied he is under more pressure because he is trying to win his third major championship in a row. “This is a major championship,” he said in his pre-tournament press conference, “and there is always pressure in majors. Any extra pressure is not significant. I’m always going to be under pressure in majors for the next few years, so I’d better get used to it. In the last couple of weeks, he has just started to find a bit of form; and that’s despite the fact that last week he found himself in nine water hazards. But, he refused to acknowledge that Tiger is his chief rival. “To think that would be a serious mental error,” he said. “If I go out there and shoot 75 and my ‘rival’ shoots 76, I will not go home happy. I can’t do that. I’m always concentrating fully on fighting with myself to better myself. The Irishman has said that he is adding a bit of loft to his driver for this week, and will play with a club that has 9 1/2 degrees of loft. Interestingly, his three victories in majors have all come with drivers with 8 degrees of loft. “I’ve probably been guilty in the past of starting majors a bit too cautiously,” he said, “and that’s something I’ve been talking to Bob Rotella about. What I’m attempting to do this week is play the 1st hole with the same intensity as I do the 72nd. It’s tough to do that, but that’s what I’m going to try to do. Harrington’s advice has been sort by a number of people recently, including the Dublin Football team and the Irish rugby side. “Obviously, the Irish rugby boys have enjoyed great success after we met, but the Dublin footballers lost to a team a long way below them, so I am on a 50/50 success rate, he quipped.